Normally I am all about going low-tech for survival. Your most important survival tool is your own wits. 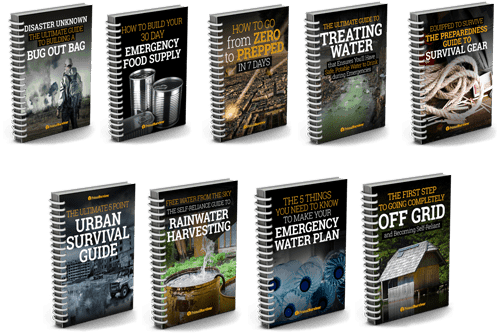 With the right knowledge, you won’t need gadgets and equipment to keep you safe and alive in a disaster situation. But there are some electronics which are so useful that I’d go as far as calling them essential. Here they are — Let me know if you agree. Electronics aren’t going to do you any good unless you have a way to power them. Luckily, alternative power sources have come a long way in the past few years. I’m not talking about a huge solar or wind power system for your home (though these are nice). I’m talking about cool portable emergency power sources. You’ve got a lot of options with portable solar power. My advice would be to choose a solar power source which is compatible with multiple types of devices, not one which just works with specific products or on its own battery. What would you do if you lost the special battery or it got damaged? Also, I recommend actually spending a decent amount of money on your solar panel power source. If this is what you are going to be relying on in a disaster, you want it to come through. Don’t trust the many cheap solar panels which are available. They won’t work in low-light situations or store power adequately. What is the most reliable source of power? Yourself! This option is great, but it is also quite strenuous. Consider whether you will really want to spend an hour cranking a generator just to get a bit of light or refill your batteries. K-Tor makes a hand-crank generator as well as pedal crank ones too. 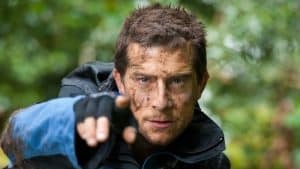 For all of your survivalists who think that they will be able to bug out in the wilderness and avoid contact with humanity for the rest of your life, sorry to break it to you. We humans need contact with each other. Even if you don’t need contact with outsiders (hope no one in your community plans on reproducing), you are still going to come into contact with other people. There just aren’t really any truly wild areas left, so you’ll have other people stamping through your Bug Out location. For these reasons, it is really important to stay informed about the state of society (or what is left of it). You will need a radio for this. When disaster strikes, government agencies use radio announcements to disperse information. You don’t want just any survival radio. Choose one which has features like having multiple power sources and can be used with headphones only (so less power is used and you can listen to it without alerting others around you). I like multi-tools which is why I really like the Dynamo Radio Flashlight. 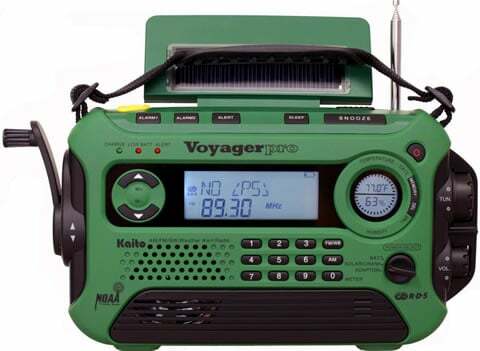 The thing is super lightweight but consists of an AM/FM radio, siren, and flashlight. It is hand cranked, so you never need batteries. Don’t count on your cell phone working in the aftermath of a disaster. 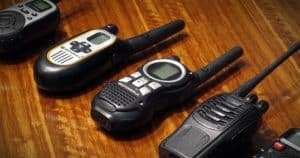 You will need to have portable two-way radios for each member of your family. Keep them in EMP bags in your car, at home, at work, at school, and anywhere else you frequent. The best type of two-way radio for a disaster is a HAM radio. It is costlier but has longer range. The downside is that you will need to have a license if you want to use this legally. You’ve also got to make sure you know how to properly use the equipment or it will be worthless for survival communications. If you don’t want to get licensed, then a CB radio is the next best choice. 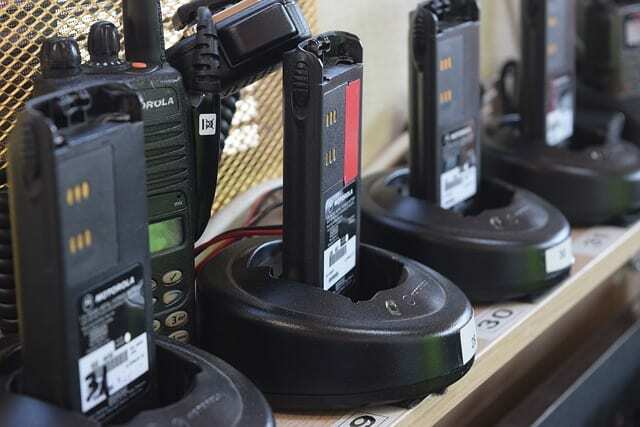 No matter what type of two-way radio you buy, remember to check the distance range on it before buying! When the grid goes down, you will be really happy that you have a flashlight. 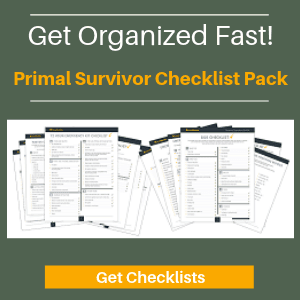 I can imagine dozens of situations where this would come in handy, such as if you need to flee at night, if you need to scout out a dark cave to use as a survival shelter, if you need to set up gear at night…. 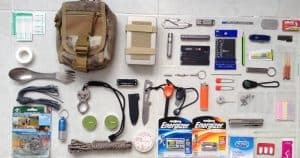 Don’t make the mistake of buying a cheap $5 flashlight for your Bug Out Bag or home survival kit. Cheap flashlights are cheap for a reason. The battery will go dead within less than an hour. The lamp inside will break or burn out (and where will you buy a new one in the aftermath of a disaster???). Brightness level: You need one which is bright enough for truly dark situations. Multiple brightness levels so you can use less battery. Operates on multiple power sources. eg solar power and hand crank. Waterproof: In case it falls in a river, you’ve got to swim with your Bug Out Bag, or you’ve got to use it in the rain. Is Sturdy: Not only do you want it to be capable of surviving some drops and bangs, but it can also serve as a weapon. If you hit someone while holding it in your hand, it will pack a more powerful punch. This may not apply to a lot of people, but just want to remind you to pack your electronic medical equipment in your survival gear – such as respirators, diabetes checkers, and etc. Also be sure you’ve got a reliable way to power it! Your loved ones depend on this gear and you don’t want them to be caught without it. Keep Your Electronics Safe from EMP!!! 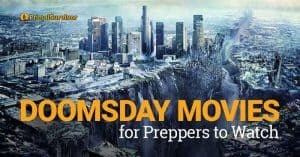 Finally, remember that electronics will be damaged during an EMP attack. Keep all of these vital survival electronics in an EMP bag or Faraday cage so they don’t get fried when you need them most. I like these EMP bags and they are very reasonably priced. You forgot to mention that the radio should also be shortwave in case all national radio stations fail & you need to find from foreign stations the condition of local disaster. Also you need an all round room & table lamp. I now have a small inverter that converts solar-charged 12 volt battery into 110 or 240v in order to charge my microscopic scooter battery, which gives folding scooter a fantastic range of 50km at up to 20km/h & only weighs 11kg. SUNcerely – Dr.Pat.